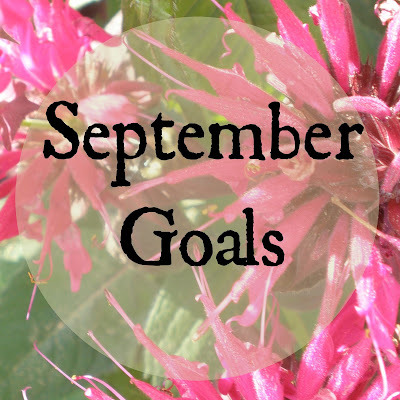 We've made it through the first week in September and I still haven't shared my goals for the month! Or how I did on August. (Spoiler alert- it wasn't that well.) So let's just dive right in. Sew three large things, or seven smaller. I did sew a few small things, but only five. And none used up much fabric, so hopefully I can remedy that soon. Write and/or walk for at least an hour a day. I started. But it wasn't an every day thing. And I really fizzled the second half of the month. But, I feel like at least I did something. Get back on track with my eating. It's been better, but still not where I want it to be. I think I too often reach for something quick and easy instead of making a real meal. I blame part of this on the fact that I eat most of my meals alone because my husband works days and I work second shift. But, I got some new cookbooks to check out, and I'm going to do better. Focus on being encouraging, not complaining. I think I did pretty good on this one. Morale at work has been pretty poor lately, and even though I haven't wanted to be there, I try to have a good attitude when I do. I try to focus on what I can do to make my coworkers lives easier. Keep everyone's spirits up. And, get all my work done. We've been busier, so that helps because a big part of my problem is boredom when the census is low. Do a little soul searching. I did a little bit. I've been trying to decide if I want to go on for my bachelor's degree and if so in what. My husband has a very good job, and we're in a remote area here, so there's all these factors to consider- cost of two more years of school, viability of finding a job in my field when I'm done that is in the area, will the job pay enough that it would make going to school worth it. I don't know. I've been checking out options online. But, I'm no closer to any answers. Plan for a craft fair. My friend Annie makes earrings and we have this big brainstorm that we should start doing some of the local craft fairs. Her with her earrings and me with my sewing stuff. There's an indoor fair in December and we thought we could try it out and see how it goes, but we need to get some stock made. I've got a list made for that one and have started some projects too. Stay ahead of schedule for school. My last class for my associate's started September 2. Everything is laid out and I have all future due dates wrote in my planner, so I think this one will be very doable. Advertise on other blogs. The reason for this is two fold. I want to help support other bloggers and I think it will help hold me accountable and keep me posting if I know it's possible someone may be stumbling across my blog. Devotions. My days feel so much fuller when I start them by reading some devotionals and a passage or two in the Bible, really think about what I want my day to be like, and wrap it all up in a prayer. I'm trying to get back into that habit. 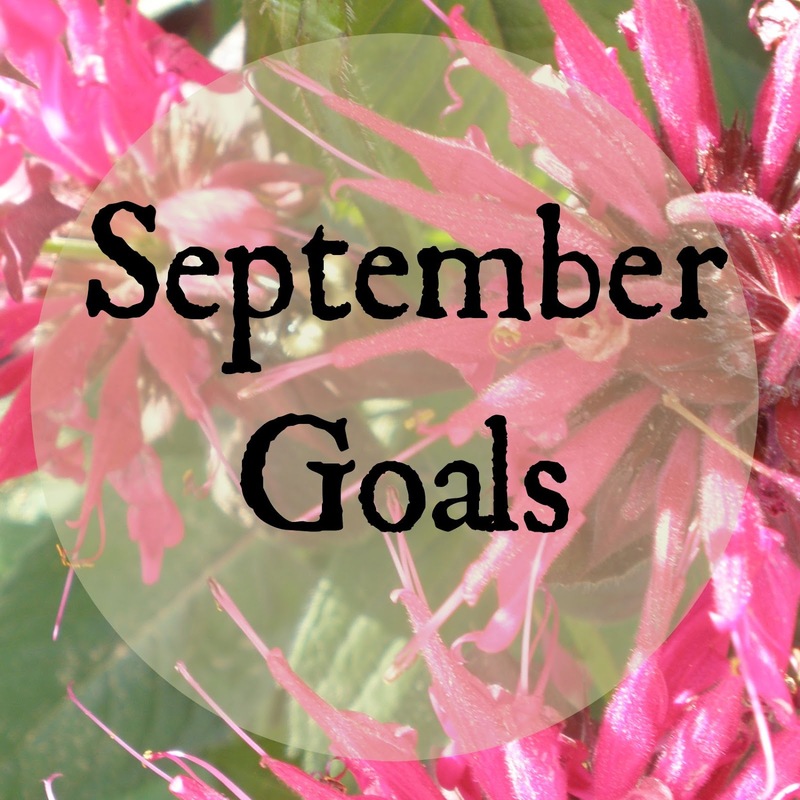 So what are your goals for September? If you're a blogger, you can link up with hosts My So Called Chaos and A Peek at Karen's World monthly link up. You've got some big goals for this month, but they're well laid out and measurable, so I think you're going to do really well. Thanks Aubrey! I think I'm a little behind, but they're still doable. I think you had a great month last month! This month your goals are so well planned and will assist you through out the remainder of the year possibly too! You can do this my friend!